UN: Evolving Charter 2 Spring 2013 Professor OMalley. 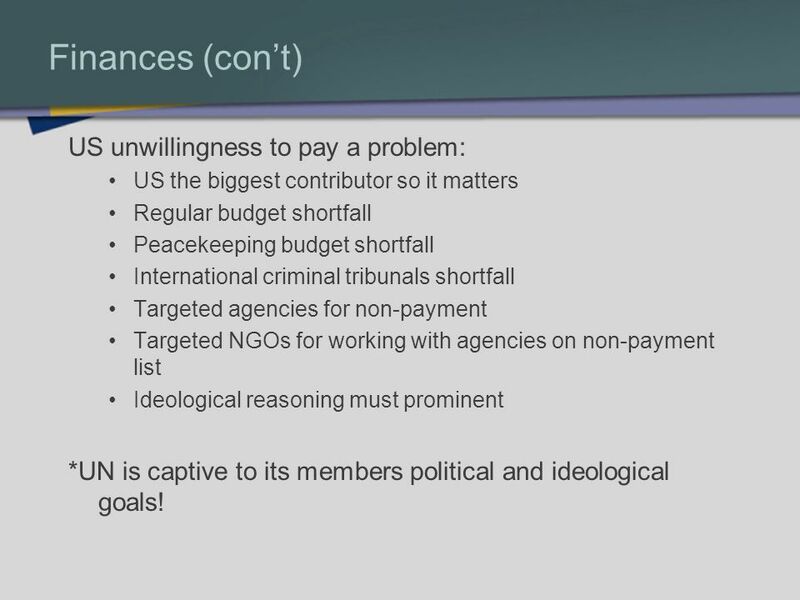 4 Finances (cont) US unwillingness to pay a problem: US the biggest contributor so it matters Regular budget shortfall Peacekeeping budget shortfall International criminal tribunals shortfall Targeted agencies for non-payment Targeted NGOs for working with agencies on non-payment list Ideological reasoning must prominent *UN is captive to its members political and ideological goals! 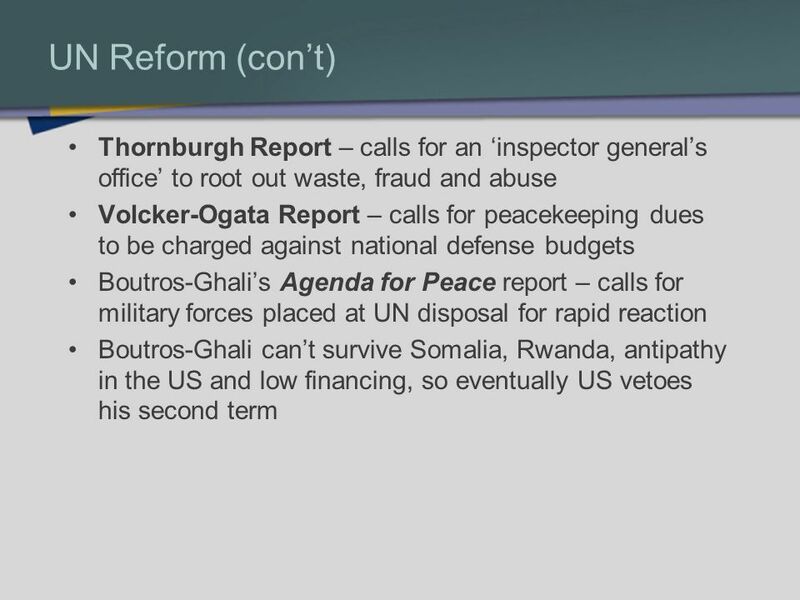 Download ppt "UN: Evolving Charter 2 Spring 2013 Professor OMalley." 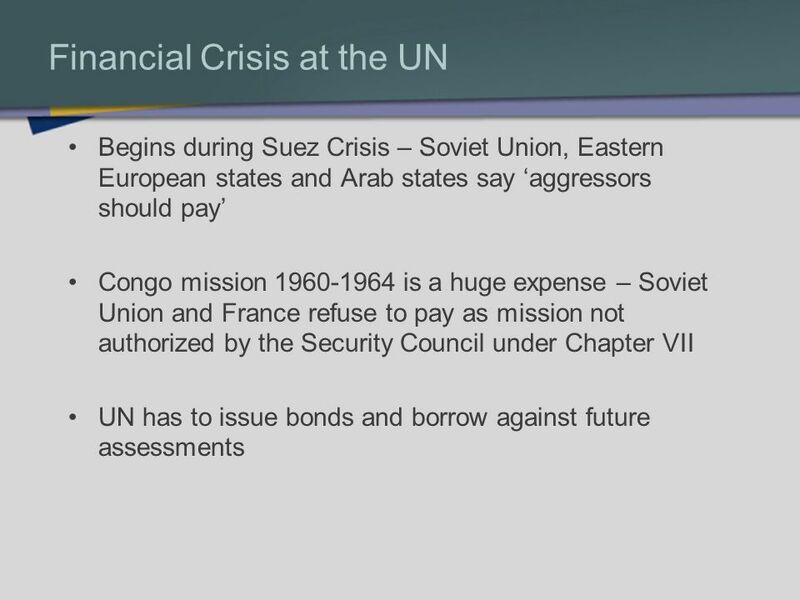 UN – Into the Cold War Lecture 3 Professor OMalley. 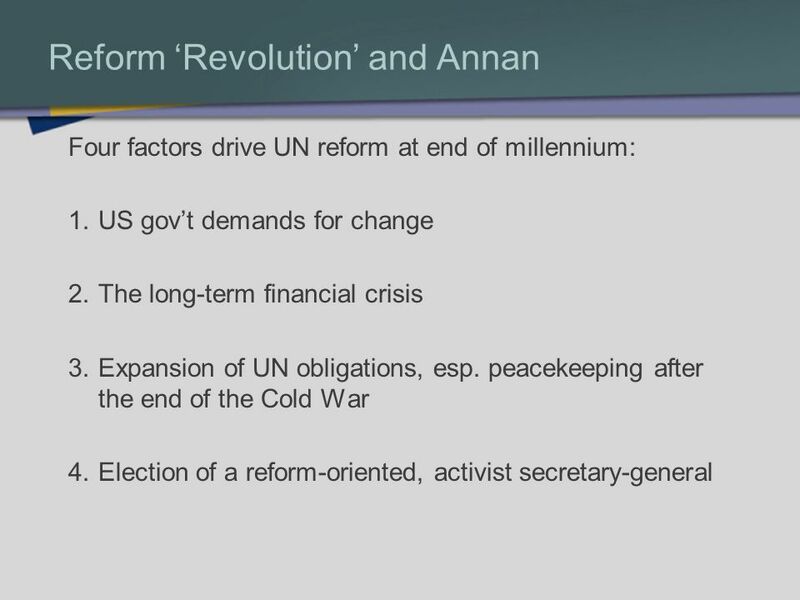 UN: The Evolving Charter (part 1) Spring 2013 Lecture 4 Professor OMalley. National Security Players The President & Congress. The United Nations (i)(ii). Origins Traditional methods had failed 1942 United Nations Moscow 1943 – maintenance of peace 1944 Dumbarton Oaks February. Impact of the Lisbon Treaty on the Common Security and Defence Policy of the European Union 24 February 2013	Joël Schuyer. Chapter 19 The United Nations I34033 Liu yaozong. 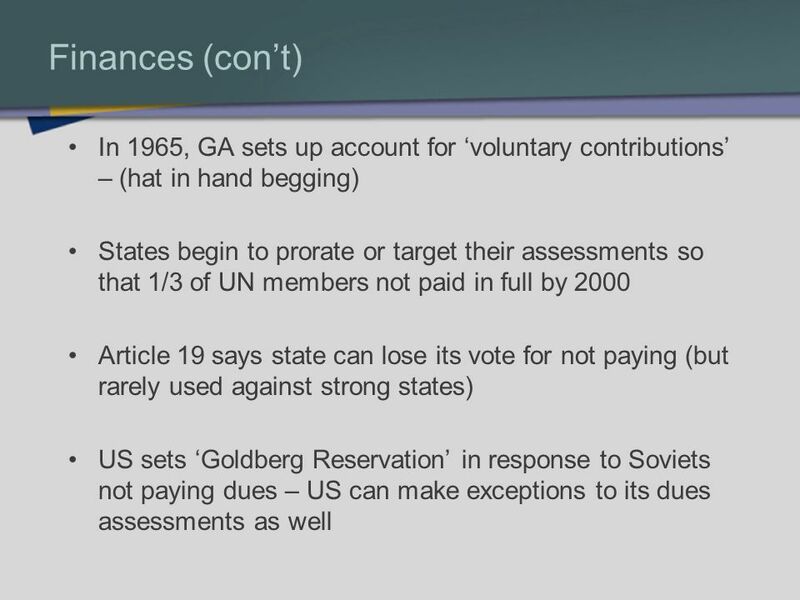 International Organisations Law 8.  Financing IOs is an issue of utmost practical relevance – IOs may deliver results as long as they have the necessary. THE PRESIDENCY. DESCRIBE THE WHITE HOUSE OFFICE. 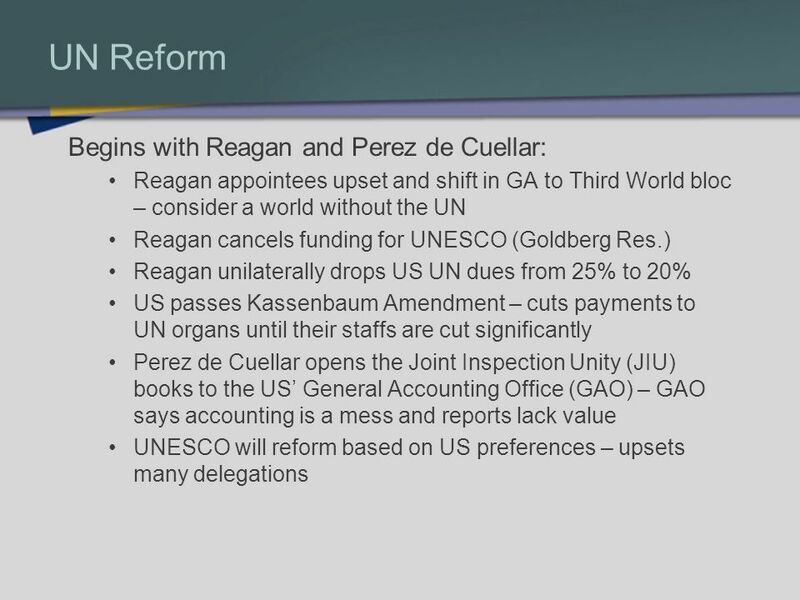 Post-War International Institutions Foundation of the U.N. June 26, 1945 replace the League of Nations based in New York. 4. 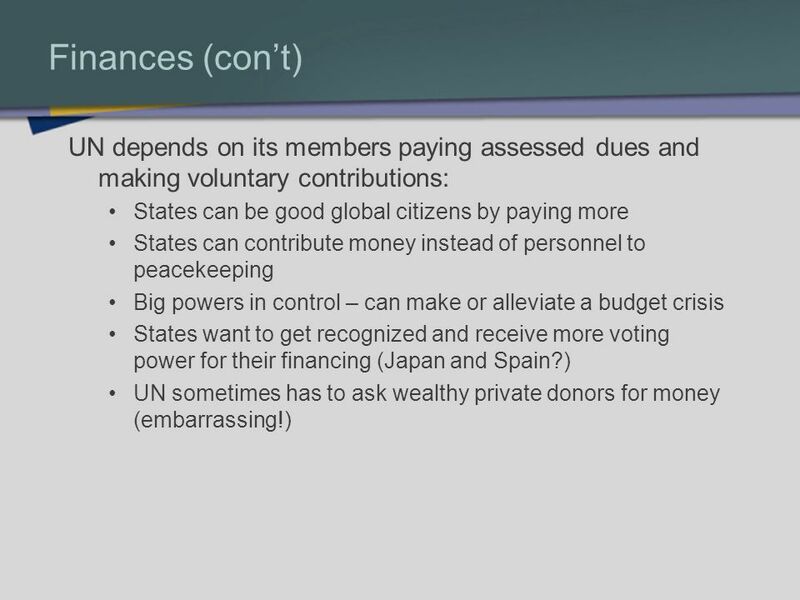 Peacekeeping in Practice II Peacekeeping and the UN System. 26. 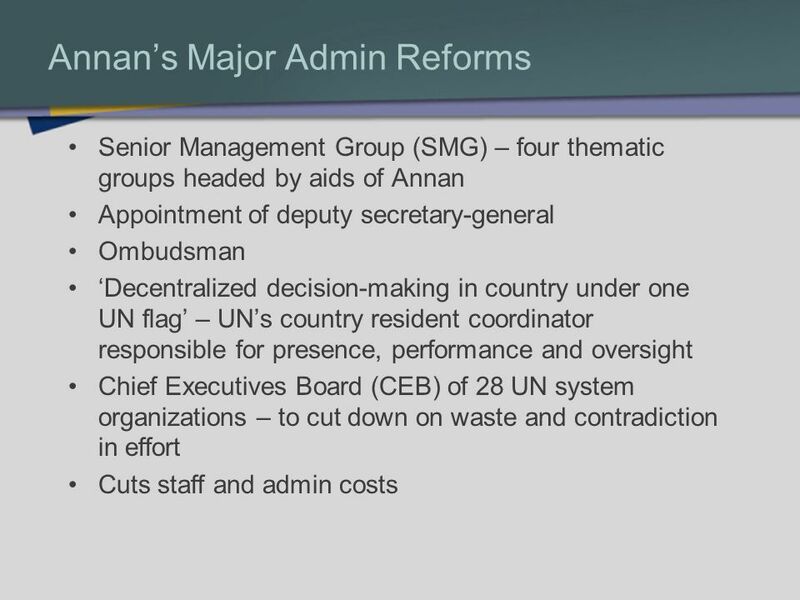 Institutional Reform at the UN. 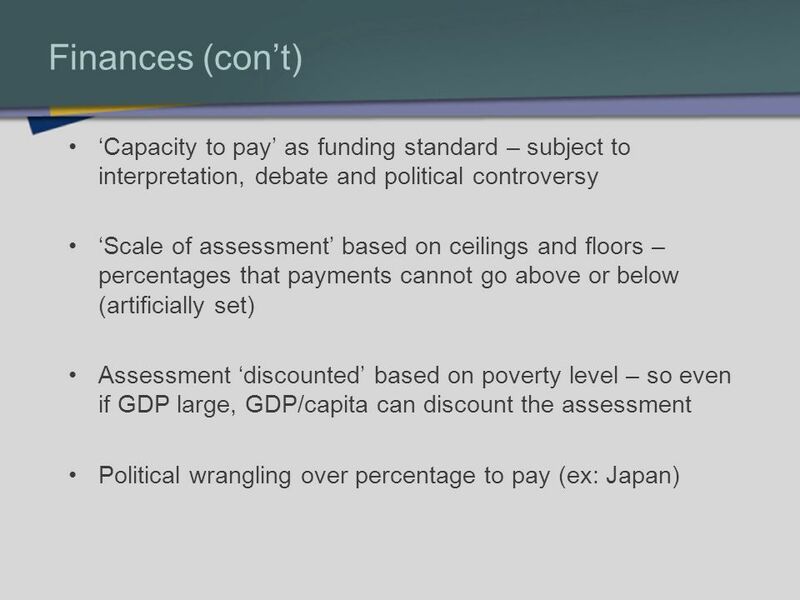 Learning Objectives – Familiar with the origins and structure of DPKO – Familiar with the origins and structure of. The Executive Branch: An Overview Presented by Kris Kautz, Deputy Director Department of Administrative Services. MODEL UNITED UNITED NATIONS NATIONS.